At the start of every holiday I make a “to-do” list. Don’t get the wrong idea – thinking that I am a habitually organized person who makes to-do lists for everything. I don’t. I really just make to-do lists to make sure my holidays are well used. I don’t want to waste a minute of a day off, let alone an entire week of days off, since they don’t come around that often. My list was three pages long. The “work stuff” page was longer than the “fun stuff” page, and one of the things on the “fun” page was “Do something fun” which shows how uninspiring my lists can be. 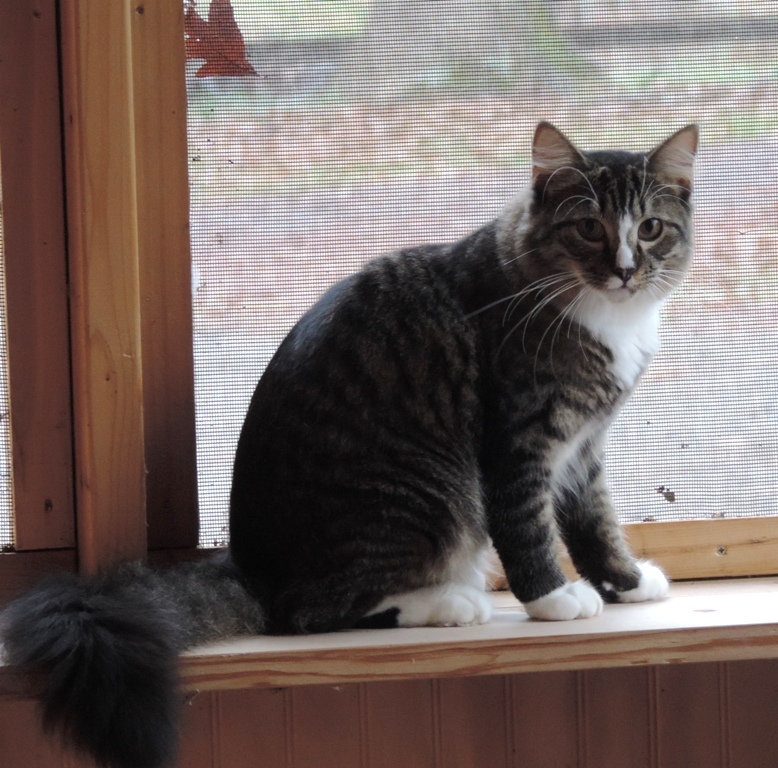 Mookie’s To-Do List: 1) Look for Squirrels. Now, with the end of this holiday approaching much faster than it should, I have one last load of massage laundry left to do, which will give me one more satisfying check-off on my list. One of the things I did do … I worked my way through a year’s worth of magazines that had piled up by my bedside. I love magazines. I love them so much that I don’t even mind the perfume samples, ads, and blow cards that fill them. There was a time when I had as many magazine subscriptions as a small-town library. New Yorkers would sit, sometimes for years, because they were too precious to discard even though there was more inside a single issue than I could ever read. 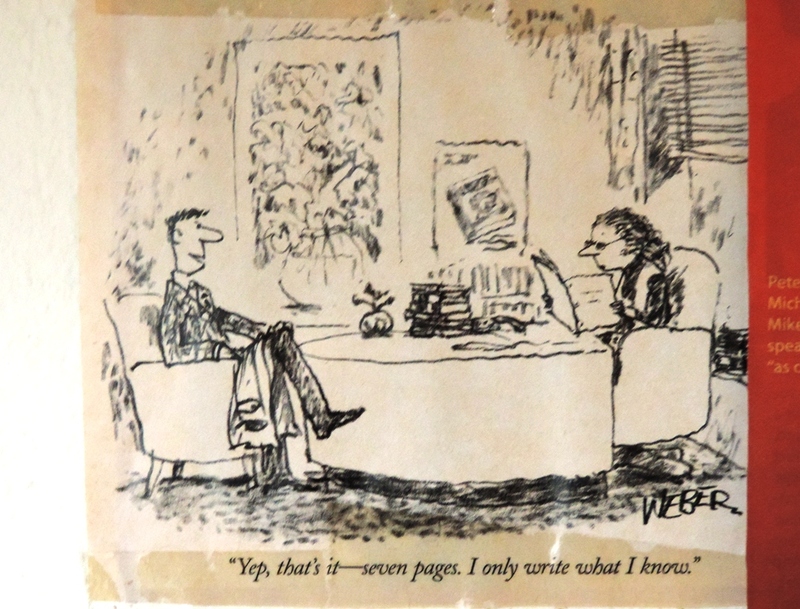 Old New Yorker covers and cartoons are still tacked up on my office walls … even though the subscription expired long ago. My dad would, without fail, renew my Reader’s Digest each Christmas, and when he passed away, I let it go. But, when my mom died, I absorbed her beloved People subscription, and, although it is pricey and generally news-less, I still keep it, because it seems like something she would want me to do. I’ve subscribed to Rolling Stone since high school and it hasn’t changed much in all that time, except to become much smaller, and Bob Dylan is still a comforting presence on at least one cover each year. I let Spin go years back. I long for the days of Trouser Press, which you have probably never even heard of. 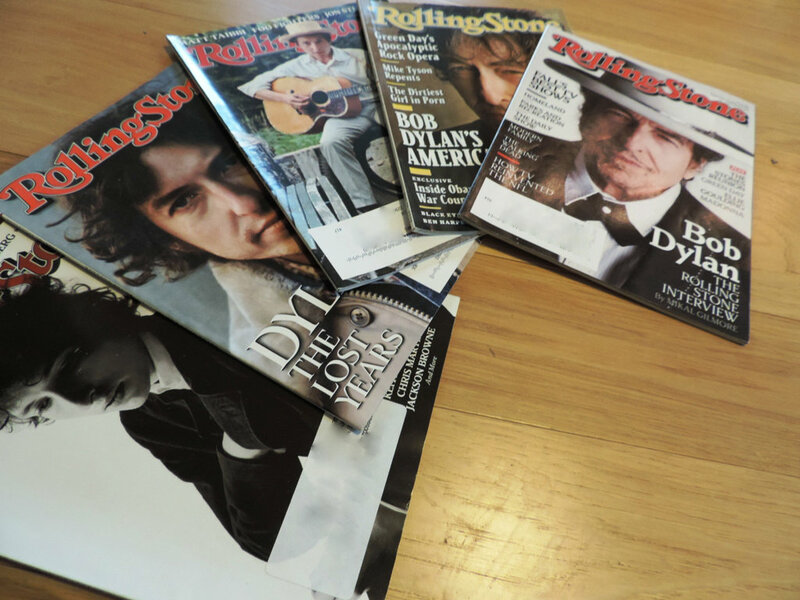 Still to-do — Read all these Dylan articles. Sport. Baseball Weekly. Elysian Fields Quarterly. I got ‘em all. I’m told that Sport is still around. At first, my dad would just mail me his old copies, and they would come stuffed three or four to an envelope, often months out of order. Except the swimsuit issue. He always kept that one. Eventually, he got me my own subscription, but sadly, there were no dad comments written in the margins or big circles drawn in Sharpie around the stories my dad felt were most important. I let SI go for awhile. But, I came back, because it is, I swear, one of the best-written magazines ever. Editor/Husband estimates that I read 25 pounds of magazines over the holiday. 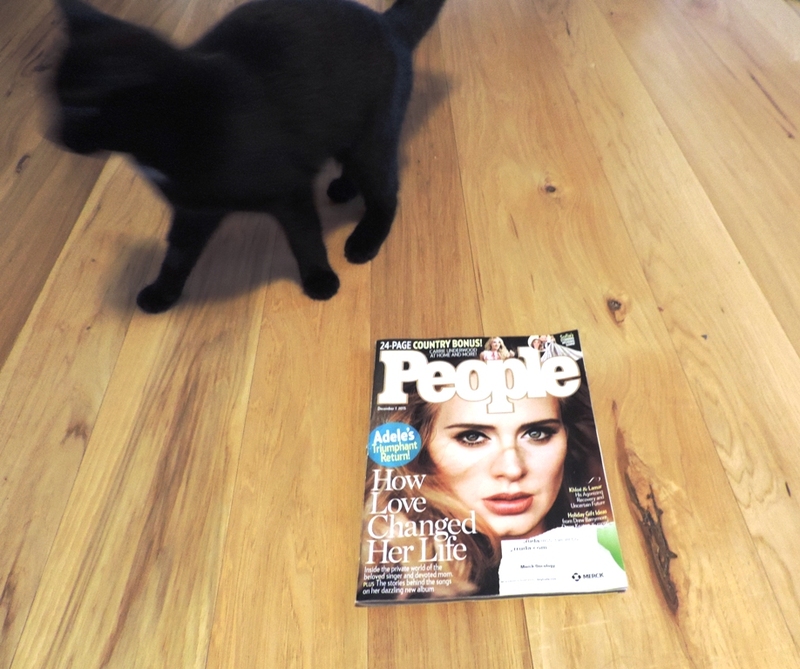 Zuzu is not one for celebrity gossip or, in the case of the new Adele cover story, lazy reporting. Editor/Husband gets one magazine – Vanity Fair. He has three years of them stacked up on his side of the bed. I planned to share three of the best articles I read with you. But, as the days wore on and the pile by the bed got smaller, I thought maybe two articles would be enough. Now, the pile’s gone and I have one magazine set aside. Just one article. It’s from a 2014 Sports Illustrated and it’s about Roger Angell, who has written for the New Yorker since 1944, the last 53 years as its baseball writer. Why should you read it? Because it is beautiful. Because, as Angell points out, reading about baseball is somehow even more exciting, vibrant, and memorable than just watching a highlight replayed on video. Maybe because a play is just a play on film. But, when someone who loves the game writes about it, it takes on extra layers, extra meanings … maybe joy, maybe amazement, or maybe despair. It becomes personal, something a video is not. 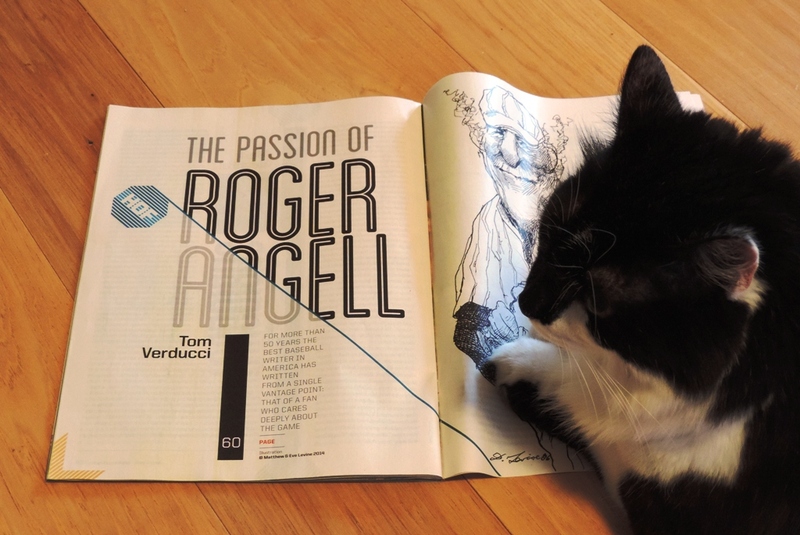 You can find the Sports Illustrated profile here: The Passion of Roger Angell. And, you can find Angell’s New Yorker piece This Old Man about aging and getting by in your 90s, which won a National Magazine Award and has one of the world’s best jokes about death, here. It has been four weeks since baseball.